The Chinese zodiac is based on a repeating twelve-year cycle. Each year in that cycle is related to a different animal sign. The Chinese zodiac is extremely popular in many East Asian countries including China, Korea, Japan, Taiwan, Thailand, Vietnam, and the Philippines. Each of the twelve animals in the Chinese zodiac represents a year and those who are born in that year will have certain personality traits that correspond to that animal. The twelve-year cycle begins with the sign of the Rat and then proceeds through the sign of the Ox, the Tiger, the Rabbit, the Dragon, the Snake, the Horse, the Sheep, the Monkey, the Rooster, the Dog and the Pig. According to the legend, Buddha sent out invitations to all the animals to come and visit him. However, only twelve animals turned up and Buddha named the twelve years after these animals in the exact order that they arrived. Take a look at the Chinese zodiac signs and discover their meanings! The Year of the Rat is the first in the Chinese zodiac cycle. People belonging to the Rat zodiac sign are incredibly smart, curious, quick-witted and highly intuitive. They have a rich imagination and sharp observation and they can easily adapt themselves to a new environment. Rats are kind, generous and full of energy, but sometimes they can be very impolite or judgmental to others. Some of the best careers for Rats include writer, musician, manager, director, politician, lawyer, researcher, and stand-up comedian. Rats are most compatible with the Ox, the Dragon, and the Rabbit. Oxes are known as reliable, strong, and diligent individuals. They are honest and ambitious people, who attach great importance to family and work. These people can always achieve their goals because they are very determined and hard working. Oxes can be great leaders and loyal friends. However, they have poor communication skills and are very stubborn. The best careers for Ox people include pharmacist, engineer, artist, politician, interior designer, painter, or real estate broker. The Ox is most compatible with the Rat, the Monkey, and the Rooster. Tigers are very self-confident, competitive, courageous and unpredictable. They are charming, charismatic and well-liked by others. People born under the year of Tiger are sensitive individuals that sometimes go a little overboard. Tigers are born leaders, but they tend to be stubborn and judgemental at times. The best jobs for the Tiger include office manager, actor, artist, writer, travel agent, musician, comedian, pilot, and chauffeur. The Tiger is most compatible with the Dragon, the Horse, and the Pig. Rabbits are known to be very quiet, gentle, kind, patient and responsible individuals. People enjoy being around this zodiac sign because they have a friendly personality. However, Rabbits also tend to be very stubborn and superficial. These people are loyal and faithful but they cal also be too cautious and conservative sometimes. Rabbits have a good sense of humor and a tendency to escape reality. The best careers for people born in the year of the Rabbit include politics, culture, medicine, education, breeding, religion and cultivation. They are most compatible with the Rat, the Goat, the Monkey, and the Dog. The Dragon is the only imaginary animal in the Chinese zodiac. The Dragon is known as the most powerful person in the Chinese zodiac, although it has a reputation for being a hothead. People born in the year of the Dragon are intelligent, courageous and enthusiastic. They are self-confident, charming, quick-witted and not afraid of challenges. Sometimes, they can be very aggressive and arrogant. Some of the best careers for the Dragon include manager, teacher, journalist, lawyer, inventor, engineer, salesperson, and architect. The Dragon is most compatible with the Rat, the Tiger and the Snake. People born in the year of the Snake are highly intuitive individuals who tend to act according to their own judgments. They are wise and determined to accomplish their goals. Snakes are known to be great thinkers. They are materialistic and love to possess the best of everything.Snakes don't have a lot of friends because they are very careful in choosing friends. They are creative and diligent, so the best careers for them include investigator, scientist, painter, astrologer, jeweler, analyst, sociologist, and magician. The Snake is most compatible with the Dragon and the Rooster. People born in the year of the Horse are highly intelligent and born leaders. These people are very energetic and active and can often be seen at concerts, sporting events, parties and theater performances. Horses love to be the center of attention everywhere they go. They need to be surrounded by people who flatter them. Some great career choices for the Horse include salesperson, translator, journalist, publicist, performer, bartender, pilot or librarian. The Horse is most compatible with the Goat and the Tiger. Goat people are usually gentle, sympathetic and caring individuals with a strong sense of justice. However, even though they seem gentle on the surface, they are actually tough on the inside and always insist on their own opinions. They like to be in groups, but they do not want to be the center of attention. Goats are extremely quiet and reserved, probably because they like spending time in their thoughts. These people enjoy spending money on the finer things in life. Goats prefer to work in teams, so the best careers for them include actor, interior designer, hair stylist, editor, musician, illustrator, and florist. 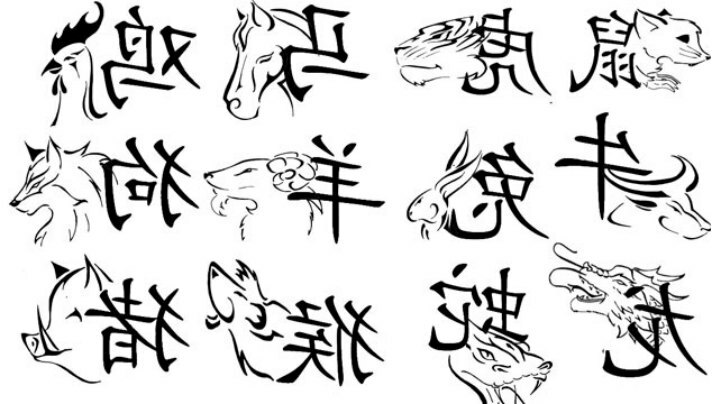 This Chinese zodiac sign is most compatible with the Rabbit, the Horse, and the Pig. 2016 is a year of the Monkey, starting from Chinese New Year (February 8) until Chinese New Year’s Eve (January 27, 2017). People born in the year of Monkey are very smart and have a great sense of humor. Monkeys are curious, witty and have a charming personality. They usually have many interests, so they need partners who are capable of stimulating them. They are very creative and clever, but they can't always exhibit their talent properly. Some of the best career choices for Monkeys include film directing, salesmanship, banking, accounting, science, engineering, and stock market trading. When it comes to love, Monkeys are most compatible with the Ox and the Rabbit. People who were born in the year of the Rooster are very hardworking, courageous, observant and confident about themselves. They are talkative, amusing and popular among the crowd. Roosters like to brag about themselves and their accomplishments. They are moody and attention seekers, which annoys people around them sometimes. Roosters are hard working individuals that can deal with a variety of jobs. Some good career choices for Roosters include salesperson, hairdresser, farmer, teacher, a waiter, journalist, athlete, travel writer, soldier, security guard, police officer, and fireman. The Rooster is most compatible with the Ox and the Snake. Those born in the year of the Dog are loyal, faithful and honest people who work hard to protect their loved ones. Dogs are amiable and kind, but they are not good at communication and can be a little stubborn at times. Dogs are always willing to help others and do not care about their own interests. Some good career choices for the Dog include scientist, interior designer, police officer, politician, nurse, priest, judge, and counselor. The Dog is most compatible with the Rabbit. People born in the year of the Pig are kind, generous and compassionate. Once they set a goal, they will devote all their time and energy to achieve their goal. Pigs are likely to spend their life involved in humanitarian efforts. They have a great sense of responsibility and are able to stay calm when facing problems. Best career choices for the Pig include veterinarian, doctor, entertainer, and interior designer. The Pig is most compatible with the Goat, the Tiger, and the Rabbit.